The April 19th performance is sold out. The April 20th performance is sold out. 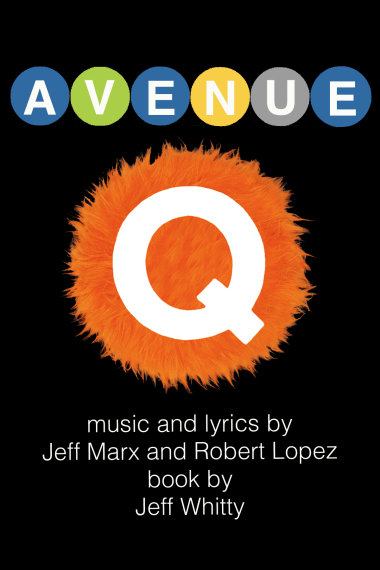 Please join the cast and crew for post-show a discussion of Avenue Q. The talkback will be Saturday April 20th immediately after the show. We've announced our 55th season. Click here to see the list of shows. The laugh-out-loud musical tells the timeless story of a recent college grad named Princeton, who moves into a shabby New York apartment all the way out on Avenue Q. He soon discovers that, although the residents seem nice, it&apos;s clear that this is not your ordinary neighborhood.